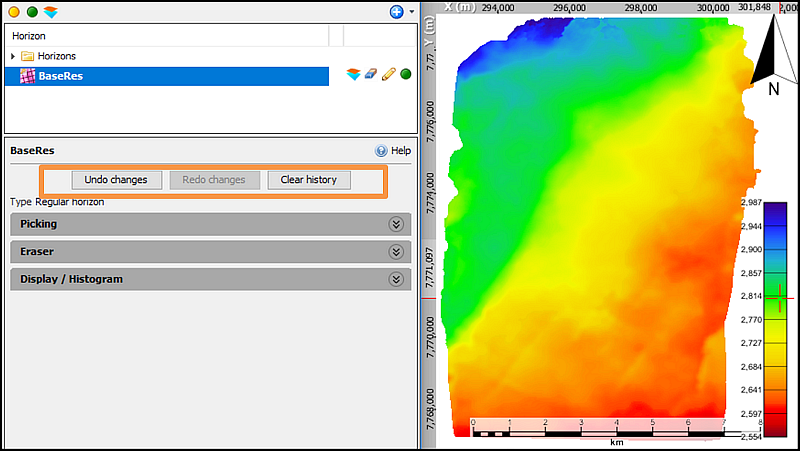 DUG Insight User ManualDUG Insight LearningLearning Quick TipsClear those undo/redos! When editing horizons, Insight never forgets. Whether it’s a deletion or an addition, each change is stored with the horizon. This is how the undo/redo changes feature works. It’s great to know Insight has your back! However, these edits can mount up over time. Imagine picking a large regional horizon over several months, leading to a vast number of changes. Over time, picking can slow down for that horizon. Fixing this is easy. When you’re confident with your result, click the Clear History option. This deletes the stored edits for the horizon, significantly reducing its size and speeding it up. Remember, after clearing the history, you will be unable to undo changes made before that point, and this will affect all users. New edits and changes will be tracked if you start editing the horizon again. This is great for one horizon, but what if you have 100’s with the same issue? 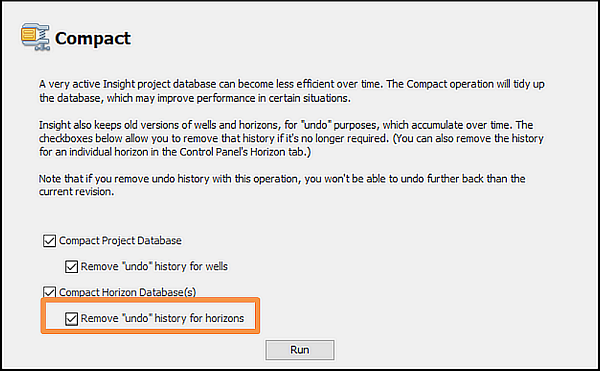 Use Compact database to remove the history from all the horizons in the project in one go! This can take a while, so consider running it at the end of the day when you head home. If you’re ever unsure about horizon slowness issues, just drop us a line at support@dug.com. We’re always ready to help out!